In the works since 2013, ‘Tolkien’ has now been assigned a premiere date. Starring Nicholas Hoult and Lily Collins, the biopic has been penned by David Gleeson and Stephen Beresford. A biographical movie with Nicholas Hoult has been scheduled to premiere on May 10, 2019 and it is about J. R. R. Tolkien. David Gleeson and Stephen Beresford have adapted the younger years of the celebrated author into a screenplay which has been directed by Dome Karukoski. The latter is better known for having helmed ‘Heart of a Lion’ and ‘Forbidden Fruit’. Expected to focus on the early life of the author, ‘Tolkien’ stars Nicholas Hoult. Mostly known for having performed in the ‘X-Men’ movies, the actor portrays the English writer dealing with his school love interests as well as World War I experiences. His relationship with his future wife Edith Bratt (Lily Collins) will also be depicted in the movie. 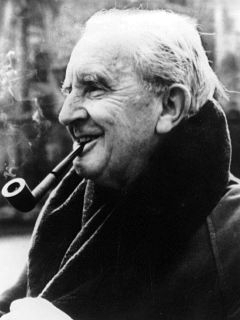 Born in 1892, J. R. R. Tolkien is considered as the father of modern fantasy novels. Indeed, most of his famous work delves into the subject. They include ‘The Hobbit’, ‘The Lord of the Rings’ and ‘The Silmarillion’. Despite sharing the same universe, only the first two books have been adapted for the big screen so far, achieving international acclaim. Furthermore, throughout his career, Nicholas Hoult has earned several nods such as a Critics Choice Award. He started acting since the age of seven and appeared in ‘Jack the Giant Slayer’, About a Boy’ and ‘Clash of the Titans’.